This entry was posted in Outfits and tagged aparajita toor, karvachauth, karvachauth makeup, karwachauth outfit 2016, Mishru. Bookmark the permalink. Wow! Cabt take my eyes off u Rati! Extremely ravishing and elegant. Wish u both a long and succesful life together! The outfit is absolutely gorgeous, love the color! And you look stunning as ever. ? Man I like your abs. ? I love color yellow, somehow it just makes me happy. And it suits you so well. Also, please tell me if someone said anything in Paris while you guys were shooting it. 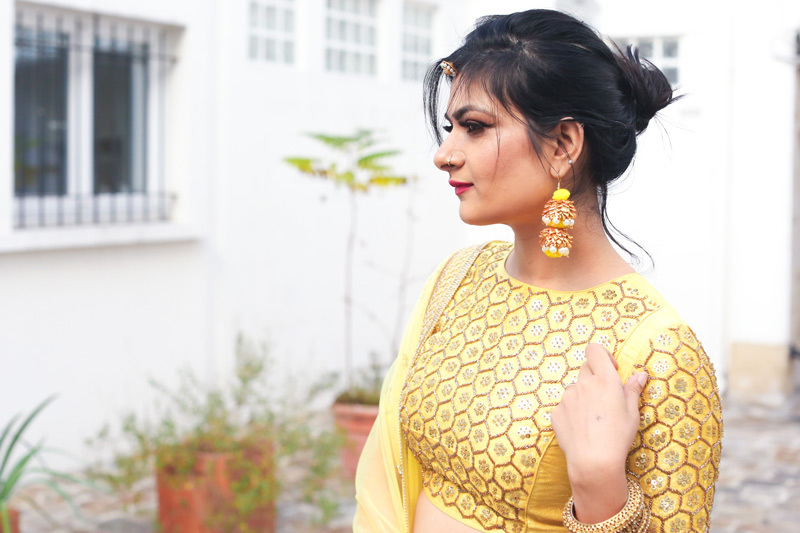 I got so much attention there because I was from India, I can only imagine what you would have gotten wearing this stunning piece. ? They are slowly disappearing with all the french pastries going in …loll!! I had fun getting all the attention. 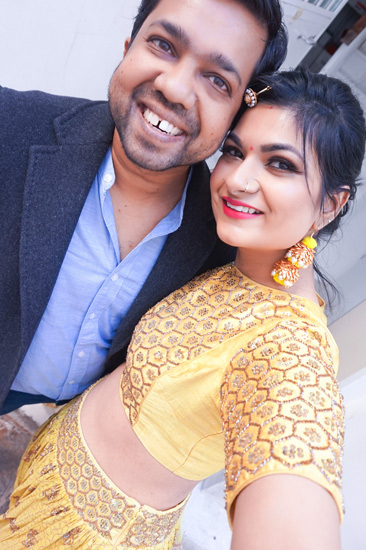 😛 It was such a proud moment to wear our Indian wear on foreign land…that too on the streets. hahha! Happy fasting ms singh ? ?u look like a million dollars. Yellow looks so beautiful on u? Sanjvji, happy karvachauth ? Ur gorgeous figure is goals ms singh ? 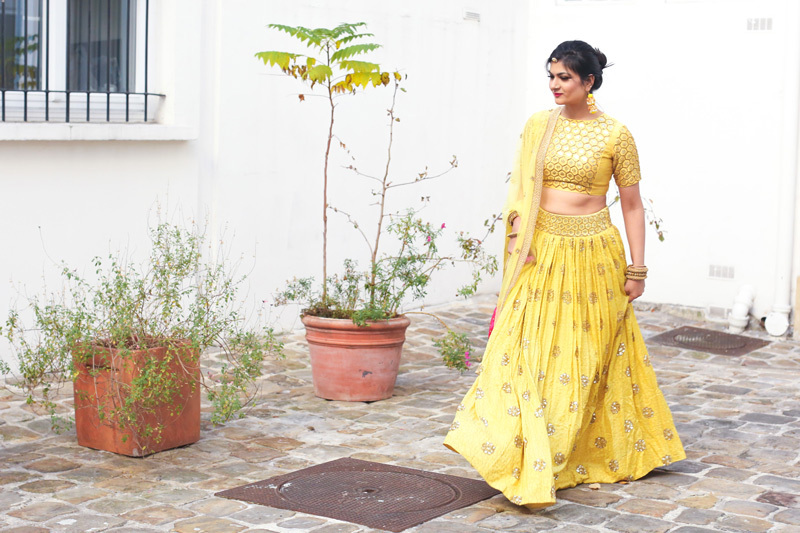 Loved it….. U look divine… I love yellow… I too have aparajita toor earrings.. N absolutely love them..
drooling over tour fitness ? ? the couple pic makes me say may Allah bless you two and can totally understand the energy level issue as we fast fr 30 days ?. 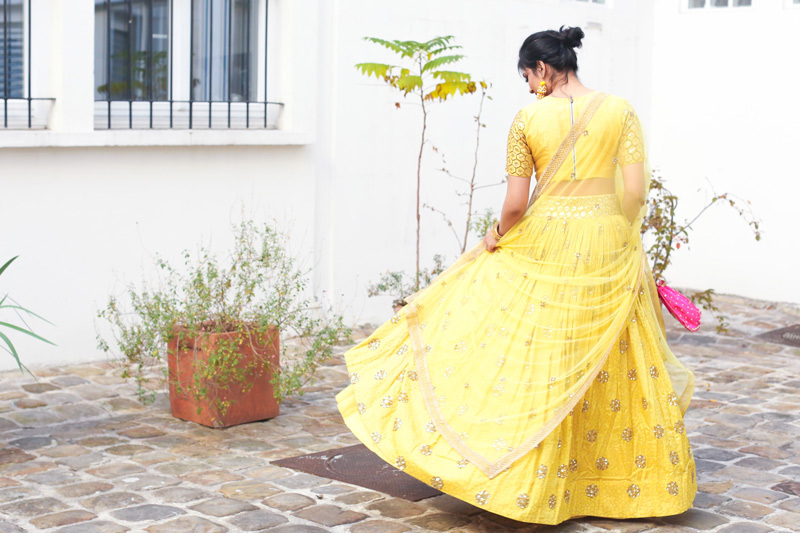 The paris epic walk in lehnga must be worth it ? Oh my gosh! You look drop dead gorgeous in this yellow outfit. 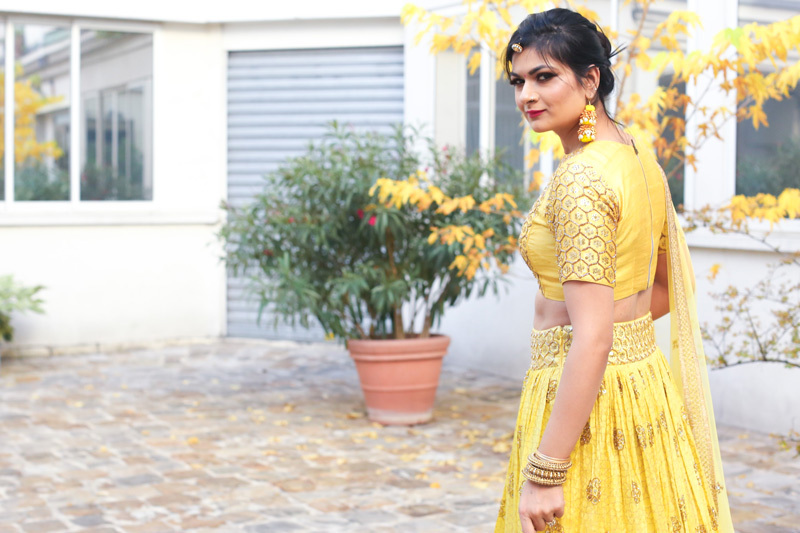 I can imagine how much attention you’ll attract in Paris when you wear Indian outfits, especially heavy lehenga?you’ll be the talk of the town! Won’t be surprised if you’ll be trending in their newspapers this week!! Wowww.. waking up to this beautiful sight.. yellow is my favt. U look gorgeous head to toe.. I especially love the pattern of the choli and this tika (Bor). Like really you got only stares from people & no questions like which Yashraj film’s shooting is going on and all. Anyway yellow suits you a lot. I got same kind of stares when I visited Bahrain mall after my brother’s engagement in heavy lahengha & all ethnic makeup on. hehehe its funny. Rati di, can I have a close look of your nose pin having a stone? I really loved it and wanna make the same. Please mail me if you can! Thank you in advance.